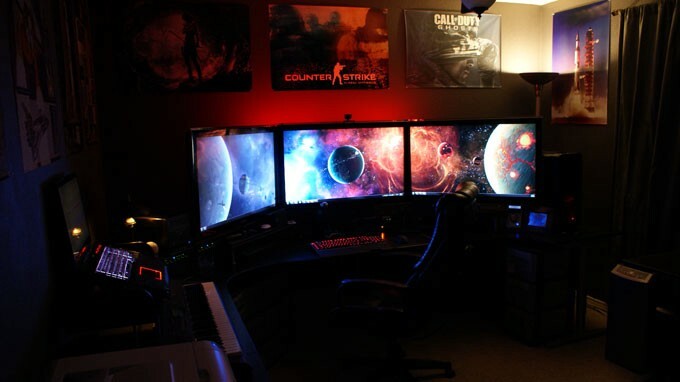 This setup’s gorgeous desk and triple monitors are amazing, and I can definitely imagine sitting down to play some “Battlefield” or watch a movie in that comfy chair. 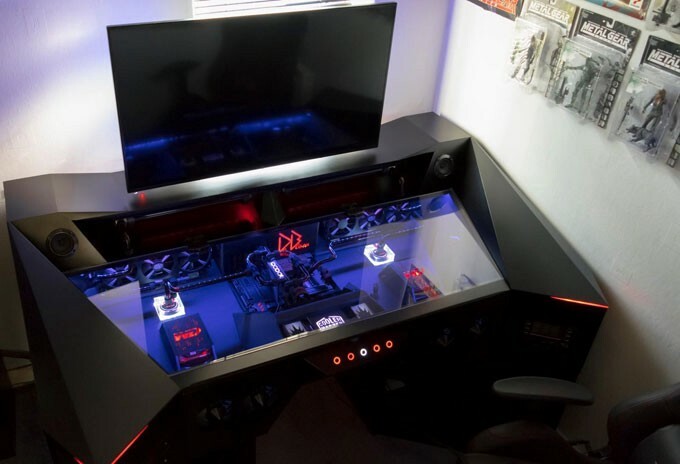 PC case modder Deblow has shown off some pretty sweet projects before, but nothing beats this in-desk PC mount and full desktop setup. It’s compact and stylish, and it makes his rig look extra futuristic. 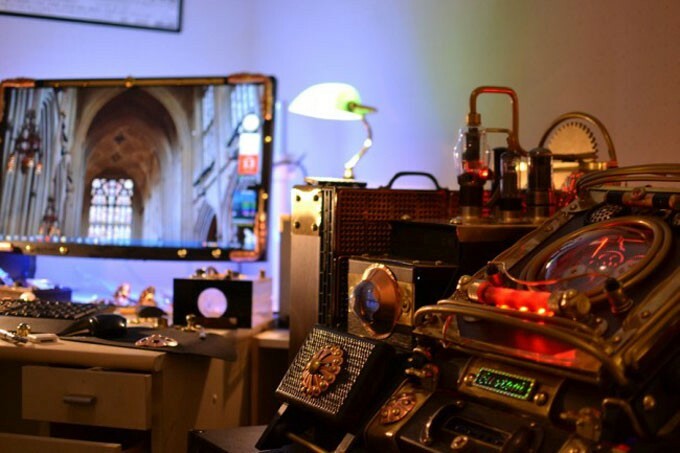 While most things on this list can double as home theaters, this PC case, keyboard and monitor mod is too amazing to ignore. If only the whole room was “Bioshock: Infinite” themed, then we, too, would be in patriotic, airborne paradise. Six monitors, two CPUs and more rainbow lights than a rave when the beat drops, “It’s a Gaming Lifestyle” member wipspeed has put together a seriously righteous setup for their gaming habits. 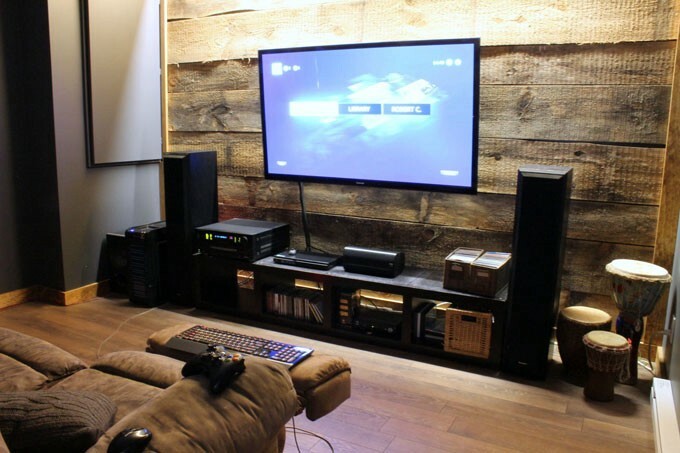 Imgur user dreambob put together this gorgeous reclaimed wood home theater and gaming setup that, yeah, we’re super jelly of. Not sure we agree with keyboard-gaming from the couch, though. 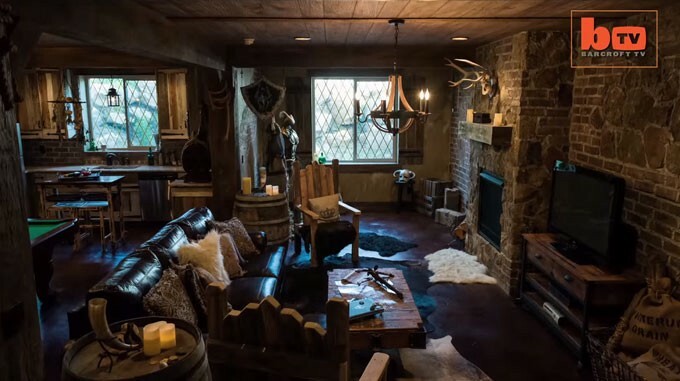 Do you like “Skyrim?” Comic artist and Nord enthusiast Tyler Kirkham does so much that he spent $50,000 on his basement to make it as Elder Scrolls-y as possible. We’d have gone for a bigger, wall-mounted TV, but we think he did all right. 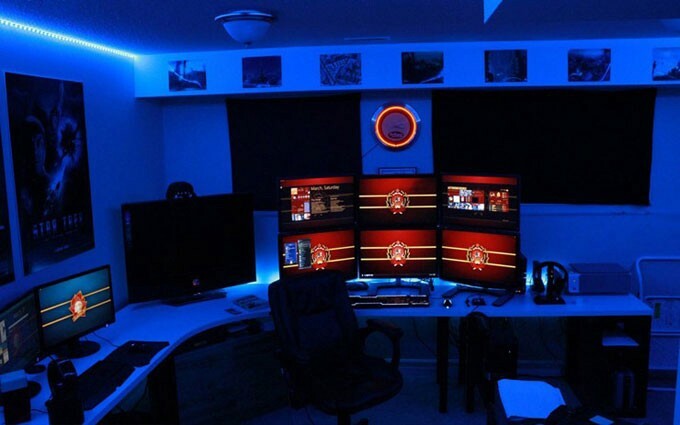 Eight, count ’em, EIGHT monitors plus a TV make this basement hideout a proper gaming cave. iBot+ user Flarex really outdid themselves with this one. 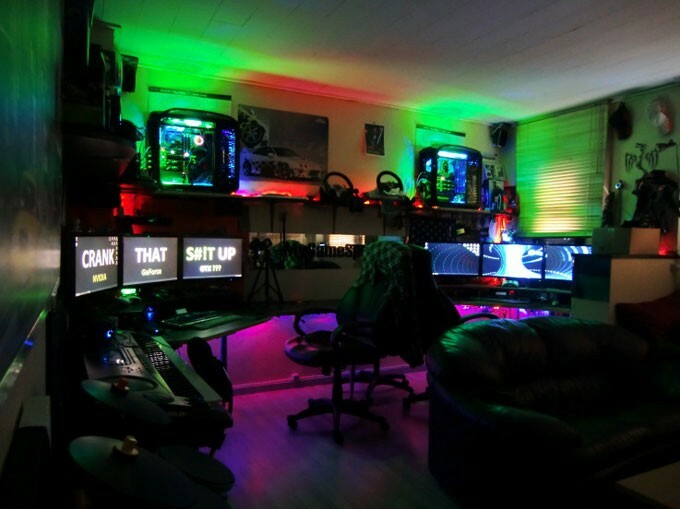 Do you have a sweet gaming rig at home you wanna show off? Originally published at www.fatwallet.com on March 15, 2016.